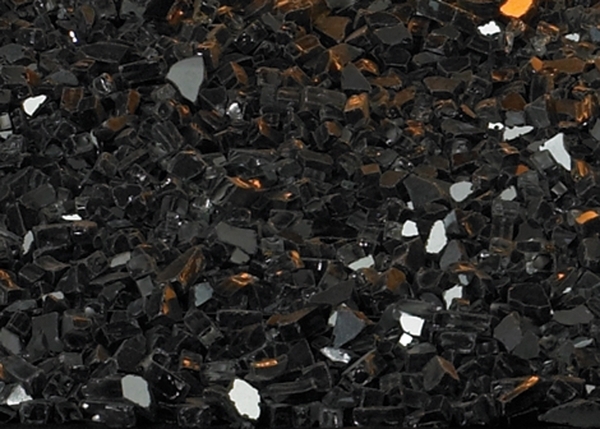 Empire Polished Crushed Glass in this 3 Square Foot package will provide precisely enough chrushed glass media for your new Contemporary Empire Fireplace. Available in four colors, Black, Blue Clear, Clear Frost, Copper Crushed, and Bronze Polished to suit any home's decor. The Crushed Polished Glass provides a beautifully reflective surface that amplifies your evening fires.